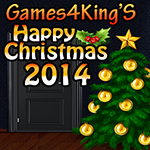 Story of this game ,Some one has been trapped in Christmas House, so you will need to collect the necessary objects to make him escape from The Winter Christmas House.if you have the right attitude then you will get him out. Use better skills to solve the puzzles. Are you ready? We’ll see it!. Good luck and have fun!